There are two givens in Hollywood. The first is that any movie based on a video game is going to stink. Even with a hit like Ready Player One proving the material can make for a fascinating fantasy adventure, something purely based on your favorite console title (Hitman, Resident Evil, Doom) is destined to fail. The other guarantee is that if Dwayne “The Rock” Johnson is in front of the lens, fans around the world are going to flock to the theaters in droves. 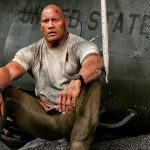 He is already part of the mega-billion franchise Fast and Furious films, but recent efforts like San Andreas, Central Intelligence, and the unlikely Jumanji sequel have soared at the box office as well. 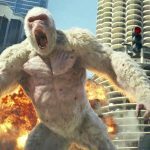 His latest offering, Rampage, is based on a fan favorite arcade title, the main action revolving around giant monsters battling each other inside a dense urban cityscape. There’s not much story, and there’s definitely no equivalent to Johnson’s primatologist, David Okoye. Instead, the screenwriters fabricate a story involving animal rights, the bond between animal and man, science on the skids, and, like Pacific Rim before, a whole lot of mayhem involving oversized beasties and the skyscrapers in their way. The result is a hilarious good time which delivers on most of what it promises. Our hero has been taking care of a rare albino razorback gorilla named George (Jason Liles, via motion capture) who he saved from becoming the target of poachers. The two have developed a true connection, using sign language to communicate. One day, the great ape is infected by a mysterious experiment and starts to grow…and grow…and grow. He also turns vicious and violent. Teaming up with a discredited geneticist named Dr. Kate Caldwell (Naomie Harris), the pair have their work cut out for them. They have to figure out what happened to George, how to reverse the process of possible, and how to keep the gorilla from destroying Chicago. There’s also a wolf named Ralph and a crocodile named Lizzie who are out to wreck as much havoc as possible. Throw in a hilarious Jeffrey Dean Morgan as a suspicious government agent and you have a big beast battle royale just waiting to happen, and when it does, Rampage turns into pure popcorn entertainment. Let’s face it — sometimes you just want to turn your brain off, sit back, and go for a ridiculous big screen ride. Johnson has consistently said that he’s in the game to give the audiences what they want and it’s hard to imagine they’ll be left unsatisfied by this crazy creature feature. The first half of the film does a good job of setting up the stakes, delving into the characters, and introducing a few red herrings, villain wise. Once we get to the streets of Chi-town, director Brad Peyton turns up the chaos, combining the best of Michael Bay’s Transformers turmoil with Guillermo Del Toro’s Pacific Rim set-pieces. The action is instantly accessible and fun to behold. 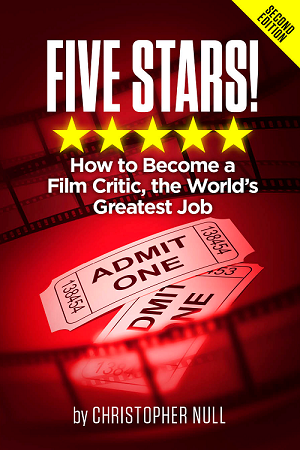 Yes, it occasionally gets lost in a frenzy of psycho-edits and jolting jump cuts, but for the most part, this filmmaker understands the reason an experience like this satisfies. As long as it provides giant animals going gonzo on CG metropolises (and the military, and the humans, and each other), we groove on the resulting Armageddon. 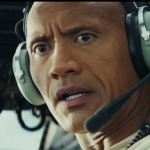 There is no one more cinematically savvy than Dwayne Johnson. He has built up his reputation from Arnold-athlete-action hero wannabe to certified international superstar. Rampage won’t change that. In fact, it will simply push him further past the rest of the pack. If you are looking for depth or complexity, head elsewhere. This is major league monster on monster action, and the result becomes one of the (very) rare good video game adaptations.